The legendary fighting game series is back - with Street Fighter V! The stunning graphics showing the next generation of World Warriors in unprecedented detail while an exciting and adjustable combat mechanics bring endless fight fun for beginners and veterans. Challenge your friends online or fight in Capcom Pro Tour for glory. The legendary fighting game series is back - with Street Fighter V! Street Fighter V will be released exclusively for the PlayStation 4 and PC. 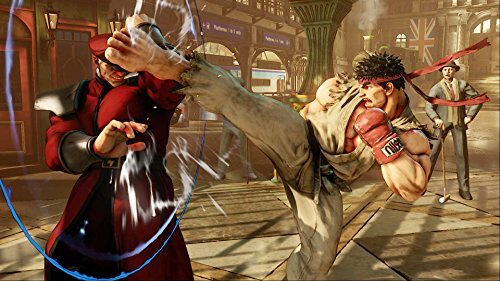 Thanks to a strategic partnership of Sony Computer Entertainment Inc. and Capcom offers the next generation of the Street Fighter series, cross-platform gaming, bringing together for the first time in history all fans on a central player base. The road to greatness starts here: RISE UP! Get ready - the best fighters in the world are back! The legendary Street Fighter series is ready for a merciless tournament. The Unreal Engine 4 presents the next generation of "World Warriors" in spectacular detail. 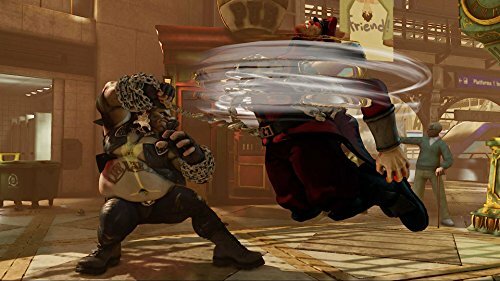 At the same time as accessible as deep combat system ensures that both novice and expert alike have endless fun at the hot duels - locally, online or as part of Capcom Pro Tour. Ryu, Chun-Li and other favorite characters of fans meet again at a showdown. Train professional martial arts and fight your way through the different rounds of the tournament, publishing the fight in the online world and compete with other players and PS4 - to crown PC gamers the best fighters - for the first time. The stunning graphics showing the next generation fighter in unmatched detail. New and familiar faces: Birdie and Charlie Nash return to Street Fighter back-universe, where they meet veterans like Ryu, Chun-Li, Cammy and M. Bison. Many more new and old fighters form the varied squad that offers something for every player and martial arts flavor. New strategies and combat mechanics! The easily accessible new combat mechanics that revolve around the V- and EX-ads, yet allowing unattainable strategies for beginners and professionals. - V-trigger: give Unique skills that use up the entire V-display, and the attacks additional damage when they are activated. - V-Skill: Useful skills (like evasive maneuvers) that can be activated at any time. - V-Reversal : Unique counter attacks that use up a portion of the V-display. - Critical Arts: Ultimate attacks, which empty the entire EX display. PS4 and PC cross-platform game: For the first time in the history of the franchise, the online community is united in a single player pool, which allows the creation of many new rivalries. 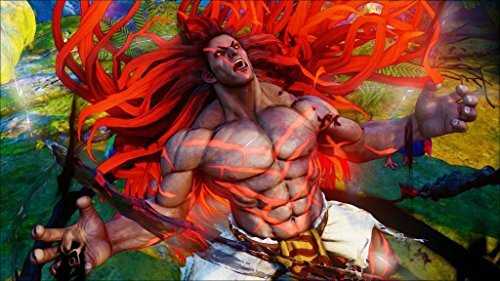 In addition to many old and brand-new fighters appear in the squad - as the mysterious Necalli. A visual feast the next Gerneration: The Unreal Engine 4 technology brings realism and the visual experience to an even higher level, which makes this latest edition to the best-looking and most comprehensive Street Fighter game ever. Reach the top: The rankings reflect the careers of players and are subject to the Capcom Pro Tour, the Champions League for the fight sweepstakes, integrated. We present the first brand new fighter in Street Fighter V-Squad: The mysterious Necalli! The possesses many as brutal as fast attacks that show devastating effect especially in close combat. Necalli is not a filigree fighter, his motto is "supervisor mouth, with Schmackes!" Activating its V-skill, he is hammering with both fists powerfully on the ground, to inflict his opponent a shock wave damage (whose orientation can be controlled by the way). New combat mechanics allow never previously witnessed strategies for beginners and professionals. Its V-trigger again ensures that a mysterious energy both his hair and his personality changed completely for a short time - thus it receives new combos, new frame data, and even a whole new Critical Art! There will be only one version of the game, namely that their purchases directly to the start. "Ultra" - "Super" - or other variants are planned. To follow all the fans will always have the same game on. All subsequent game content and enhancements are made available via download. Balance and system adjustments will be free. There will be an opportunity to purchase downloadable content and upgrades immediately through a real-money system called "Zenny". All game content will however be available on earned "Fight Money" also by continuous play - there will be no obligation to buy. This player also have the opportunity, just unlock the content or to buy that they really care about. Challenge your friends online or fight in Capcom Pro Tour for glory. 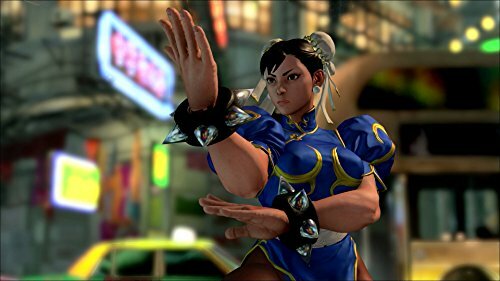 Street Fighter V will be less complicated than Street Fighter IV, and there will be an input buffer. We attach great importance to ensuring that everyone, both beginners and Street Fighter pro will have fun with the game. Beginners will learn a lot in-game support, experts can get straight on V- and EX-maneuvers. The game will be expanded over many years to come with new fighters and features that are always developed in collaboration with the community. For the launch of Street Fighter V, there will be 16 fighters, four of which have brand new (Necalli is the first one). 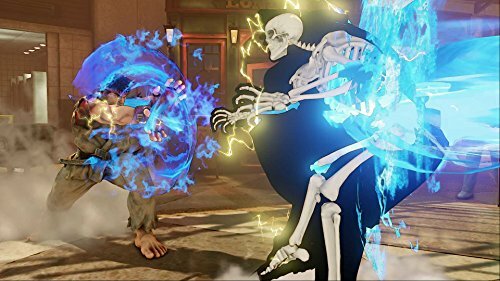 Known recurring fighters like Birdie or M. Bison were changed, sometimes dramatically, so you fighting style better suits their personality. There are now at M. Bison as a clear distinction between normal and psycho-power attacks. The elaboration of the different fighters Personality is one of the key points in the design of the game. Each fighter is characterized very individually, which comes into play particularly when the V-Skills and V triggers. Many new and old fighters form a varied squad that offers something for every player and martial arts flavor. Easily accessible new combat mechanics that revolve around the V- and EX-ads, yet allowing unattainable strategies for beginners and professionals. PS4 and PC cross-platform game: The online community is united in a single player pool. The Unreal Engine 4 technology brings realism and the visual experience to an even higher level. The rankings reflect the careers of players and are in Capcom Pro Tour, the Champions League for the fight sweepstakes, integrated.